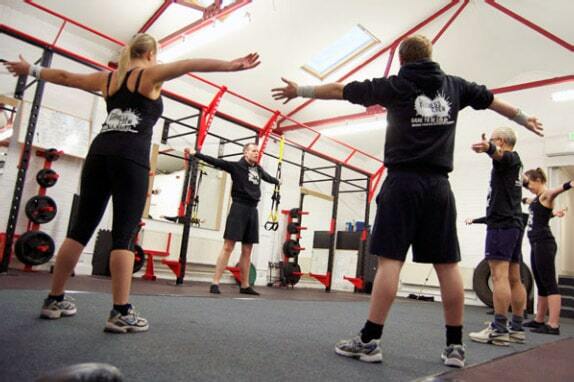 If you’re looking to get fit in a group setting then come along to our group-training class. It only takes an hour and it’s on every Tuesday from 5.45pm until 6.45pm. This fun and energetic class is refreshed and progressed every four weeks to keep the content fresh and funky. Led by DMC’s Head Coach, champion athlete and body builder Pablo, the DMC small group personal training class is perfect for anyone wanting to lose weight fast, increase their fitness, burn fat and have some fun. It can be daunting to walk into a gym for the first time alone so bringing a friend to a class can do wonders for your self-esteem. All of our crew and class participants are incredibly friendly and non-judgemental, so you won’t feel put on the spot with us. You’ll learn a lot during this class and an hour of exercise a week can do wonders for your mind-set. This can be used as a small taster class or alongside scheduled training to give your time at our Glasgow gym more of a social aspect. Fitness doesn’t always have to be hard work and this class will make you feel like you’re having fun with new friends, rather than seeing it as a chore. It’s all about your perception when it comes to fitness and this class will be a motivational boost as you find yourself looking forward to your weekly meeting. Your very first class is free. To book your slot or for any more details, please contact gm@dmcfitness.co.uk or call 0141 226 3354.